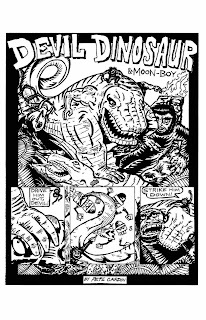 Coober Skeber paved the way for DC's two Bizarro Comics anthologies and, of course, the more recent Strange Tales series that have been published by Marvel. But despite these recent attempts at doing something similar, there is still something unique about this small artifact, printed in black-and-white, and featuring artwork done by young creators riffing on characters such as Deathlok, Spider-Woman, and Devil Dinosaur. 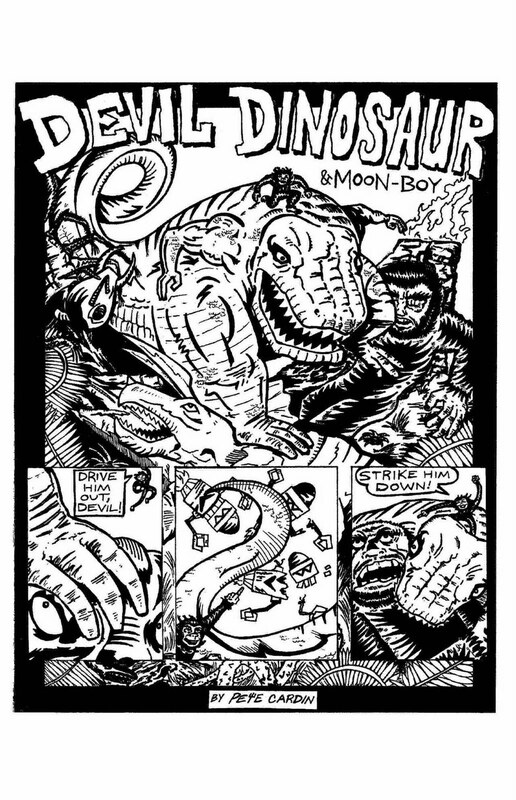 I remember bringing back home several comics thanks to that Montreal trip (Chaland books, issues of L'Association's Lapin, Steve Canyon reprints, and other stuff), but Coober Skeber was certainly one of the most memorable. The original comic may be difficult to find these days, but it has (recently?) been scanned and made available among all the scans of new comics that appear each week. The download link is here, so if you haven't seen the book before now there's a chance to enjoy it in its entirety.